FIAT Stilos were seriously cheap. 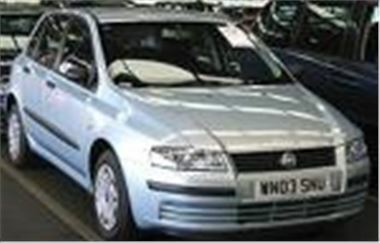 Just £5,550 was enough to buy this 12,668 mile 9 month old July 03 reg Stilo 1.6 Active with aircon. That’s even less than I used to pay for same age, same mileage Tipo 1.4s in the good old days when money could be made out of FIATs. The Stilo price wasn’t a one off. It was close to average for 03 reg Stilo 1.6 Actives. Facelift 03 reg Punto Active 5-doors averaged £4,500, and even a 12k mile 03 reg Multipla JTD 115 ELX was down at a top bid of £9,200. Current shape Mondeos were cheap too. £6,050 bought a 28k mile 2001Y 2.0 Zetec estate; £4,250 was top bid for a 50k mile 2001Y 1.8LX; all a Doom Blue 99k mile 2001Y 1.8LX could raise was £3,300 and a 93k but 02 reg 1.8 Zetec sold away for £4,650. Today, £10,250m was enough to buy a 72k mile 2001Y Audi A4 B6 TDI 130, handicapped somewhat by the old 5-speed manual box. A 118k mile 2000W BMW 323iSE finally sold away for a mere £6,100. But a 61k mile 2001X Lexus IS200 SE auto romped away from its high £9,600 reserve to sell for a staggering £11,100. IS200 are usually strong but this result helped confirm that they are generally commanding higher residuals than 3 Series. The 150 car 52, 03 and 53 reg Ford ex-rental sale tomorrow 6th May includes a 2,479 mile 53 reg Focus C-Max 1.8LX.